Conversation is a two-way event. Communication of any kind requires a sender and a receiver. The sender connects with the receiver, shares a message and then checks that communication happened as intended. The receiver connects with the sender, listens to the message shared and then acknowledges the communication. For such a simple process, we all struggle mightily to communicate in both roles. I have found that in all situations, the most common element lacking is the connection itself. 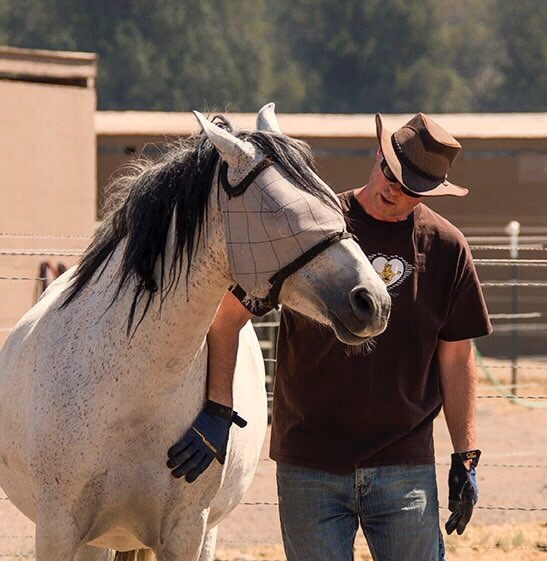 Connecting means feeling for the person (or horse!). It is an act of empathy first. It is a presence that needs no thought. It is connecting on spirit, emotion, thought, non-verbal body language levels. It takes one second to “tune in”. Conversation is an exchange. If we speak to be heard, then we must connect first. Otherwise, we are just speaking to hear our self. In your next conversation, pause and listen within for how to connect with the other person. Whatever way you can connect — beliefs, feelings, common ideas, eye contact, bodies facing each other — practice making that a conscious part of conversations.